11 cm tall (4.5 inches). Married skeleton couple heads: bride and groom. 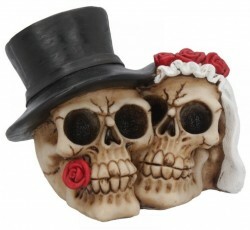 Undead wedding figurine. An amusing and nice quality gift.